Are your laboratory’s problems prone to re-surface over and over again? Are you spending most of your valuable time and resources tackling a recurring problem in preparation for an audit? While you may be convinced that your answers are ‘THE’ solutions to the problems identified in your lab, perhaps it’s time you took a closer look at how you’re dealing with corrective actions. A solution to a problem is not always straight forward and quick. Science takes time! In some cases such as in a microbiological laboratory, testing can take days or weeks. Let me help you understand this better with a classic example of a problem in a micro lab. You may know that microbiological laboratories are required to maintain an in-house reference culture system, in order to run internal quality control checks. These quality control checks could be for in-house produced media and/or to validate the tests performed on various samples received. 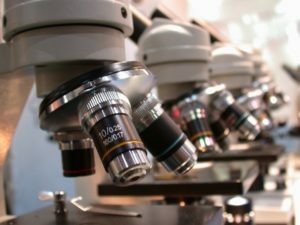 More than likely, all labs at some point of time have the results of testing using their working cultures falling outside the specification of the relevant standard. Either the count is too low or too high or forever inconsistent. What do you do when you have this as an ongoing issue at your laboratory? Do you stop just at documenting this non-conformance, re-assigning the testing back to the relevant staff, and/or re-train the staff to ensure compliance? Or, do you delve deeper? To ensure a thorough root cause analysis, you must ALWAYS delve deeper! If we were to do a root cause analysis for this problem we might find the following causes. The staff member who performed the testing did not receive enough training to ensure competency in the test. This begs the question in terms of the content of the training program for staff in this area of testing- is it up to scratch? The training program is not up to scratch because we don’t allow enough time between a trainee working “under training” to being deemed competent to perform the testing in our lab. And the kicker in all this……this all comes down to the fact that we don’t have enough staff to do the work. Now, this might not be the answer in your case, but the “fix” of just retesting the sample is a long way from the required solution to address the fact that there are simply not enough staff to perform the work. The key to a successful close out of a corrective action always lies in your root cause analysis. Always ask the question “WHY” a few times before you conclude on an answer. Is it enough to simply close out a recurring non-conformance by raising a corrective action with quick actions taken such as, “Working culture concentration and dilution have been adjusted to ensure counts are within spec”. Or, “A new culture has been ordered to maintain counts within required range”? Or is it wise to work on the issues methodically, before reaching to a conclusion? Most laboratories do hit a dead end with this kind of an issue. Remember to slow down and think! What kind of systems does your organisation need in place to overcome these recurring non-conformances? It could be lack of training, insufficient data recording, improper documentation, insufficient knowledge of relevant standards. Or, it could also be lack of resources such as; man power, IT, budget etc. Whatever the reason is, it is never too late to dig deeper and find someone who can lead you in the right direction. As science has it, having a different set of eyes on the same situation or problem works wonders! At MAS Management Systems, we help rebuild the foundation of your quality management system with our unique skill set, expertise and outstanding quality management package. Most problems can have effective solutions. With the right guidance and assistance and the right action plan, you are bound to achieve solutions that stick. Contact us if you’d like help with getting to the bottom of your lab problems and making your business better and smarter.